Southern-grade RFG. These areas include the counties of Brazoria, Chambers, Fort Bend, Galveston, Harris, Liberty, Montgomery and Waller. The counties of Collin, Dallas, Denton and Tarrant have opted in. 7.8 psi RVP gasoline is sold from May 1-October 1 in the following counties: Anderson, Angelina, Aransas, Atascosa, Austin, Bastrop, Bee, Bell, Bexar, Bosque, Bowie, Brazos, Burleson, Caldwell, Calhoun, Camp, Cass, Cherokee, Colorado, Comal, Cooke, Coryell, De Witt, Delta, Ellis, Falls, Fannin, Fayette, Franklin, Freestone, Goliad, Gonzales, Grayson, Gregg, Grimes, Guadalupe, Harrison, Hays, Henderson, Hill, Hood, Hopkins, Houston, Hunt, Jackson, Jasper, Johnson, Karnes, Kaufman, Lamar, Lavaca, Lee, Leon, Limestone, Live Oak, Madison, Marion, Matagorda, McLennan, Milam, Morris, Nacogdoches, Navarro, Newton, Nucese, Panola, Parker, Polk, Rains, Red River, Refugio, Robertson, Rockwall, Rusk, Sabine, San Jacinto, San Patricio, San Augustine, Shelby, Smith, Somervell, Titus, Travis, Trinity, Tyler, Upshur, Van Zandt, Victoria, Walker, Washington, Wharton, Williamson, Wilson, Wise and Wood. 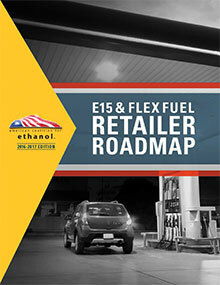 Retailers in Hardin, Jefferson and Orange counties are prohibited from selling gasoline with a maximum RVP exceeding 7.8 psi from June 1-September 15. El Paso County requires 7.0 psi gasoline from May 1-September 15.